At this time last year I was devastated. My efforts in the heptathlon frustratingly yielded nothing but disappointment. At the 2013 Canadian Championships my emotions finally boiled over as I sat on the pole vault mats after a particularly upsetting jav competition. At the end of the season I looked at myself long and hard, and made a change. 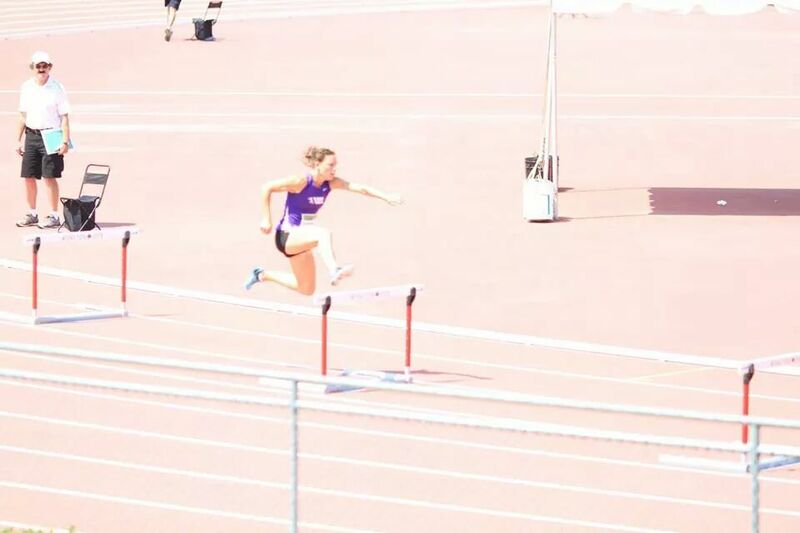 Taking on the 400m hurdles has been an adventure. It is so exciting and rewarding to see my hard work and dedication paying off and things coming together. I still have a lot to work on, but I’m definitely moving in the right direction. I went into the 2014 Canadian Championships with a PB of 57.98s in the 400mH, and I emerged with a silver medal and a new PB of 56.86s, dropping over a full second. The conditions were great and I was ready to go, physically and mentally. Interestingly the stride pattern I seem to have settled on (for the time being, anyway) is the same as the pattern I happened to adopt during my very first outdoor 400mH training session of the year, back in April! Between being randomly selected to pee in a cup for CCES, Canada’s anti-doping agency – the Canadian Centre for Ethics in Sport, and running over to the podium for the 400mH medal ceremony, I also managed to secure a bronze medal in the long jump that same afternoon, jumping 5.95m. Talk about a whirlwind of a day! Time to hit the track to get ready for the Athletics Ontario provincial championships in Ottawa in a couple of weeks. I have faster to run yet! Congrats Jen ! You are truly an amazing athlete and person. Sooo proud of you! Wish I was there to see Damians look on his face when he seen your time. He seems to get more excited about your accompliments then his own . Keep doing what you are doing and you will live your dream and I will be there watching you and Damian both . Keep dreaming Big !!! Thanks for the kind words and the great advice. It starts with a dream! Congrats, Jen, on a huge PB and podium finish. The 400m hurdles “experiment” is definitely working!